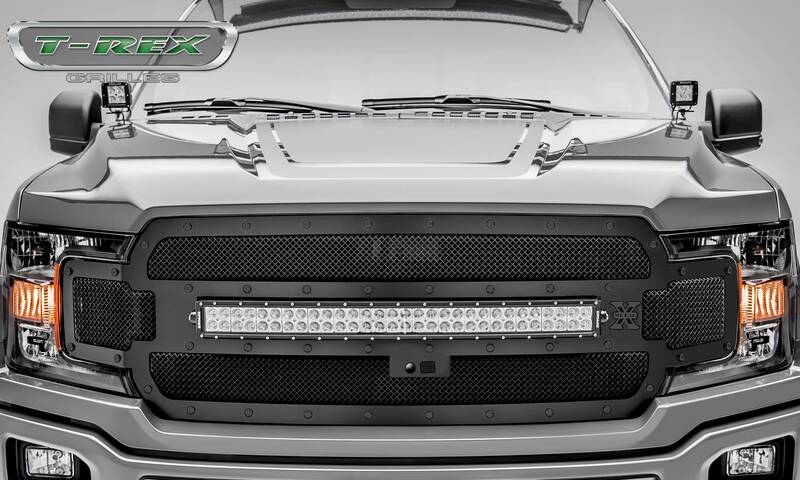 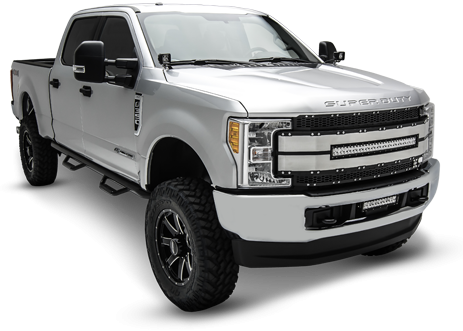 2018-2019 Ford F-150 Torch STEALTH Series - Replacement - Main Grille - Steel frame w/ formed wire mesh and Black studs. 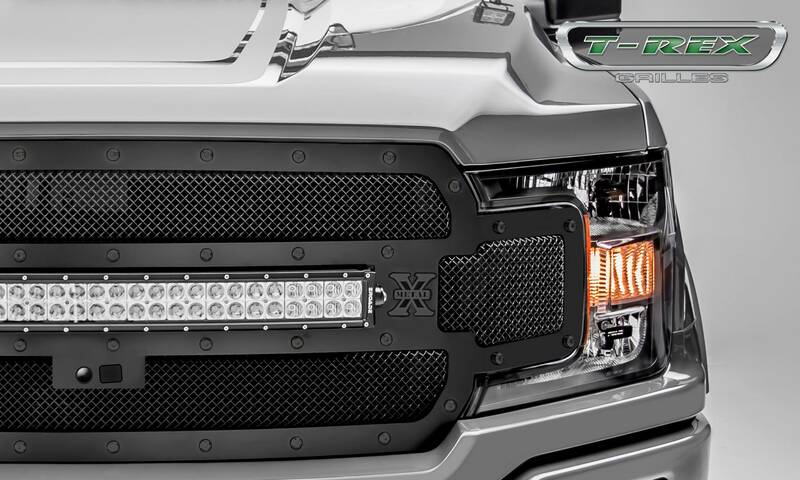 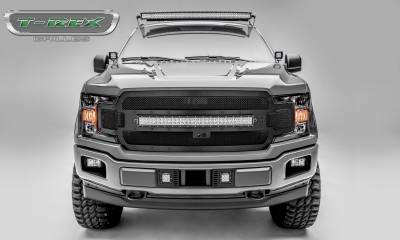 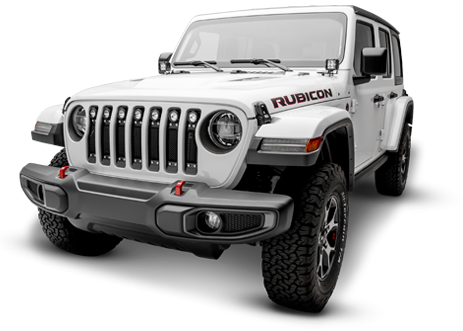 Includes (1) 30" LED Light Bar & Universal Wiring Harness. 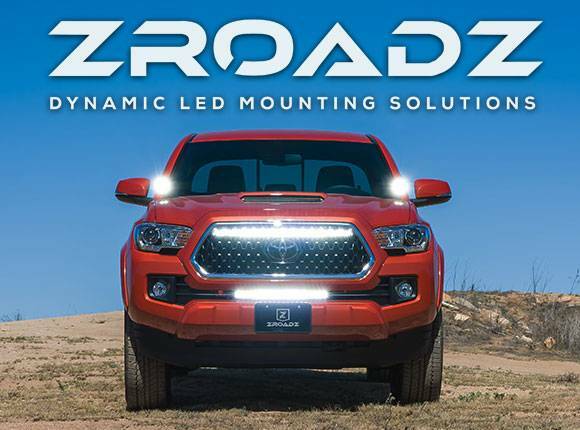 Fits Vehicle's w/ FFC (Forward Facing Camera).